Wizkid and his manger Godwin Tom were invited by men of the Nigeria Police Force - Zone 2 Command, Onikan, today June 19th after students of the University of Lagos reported the music star to the police. 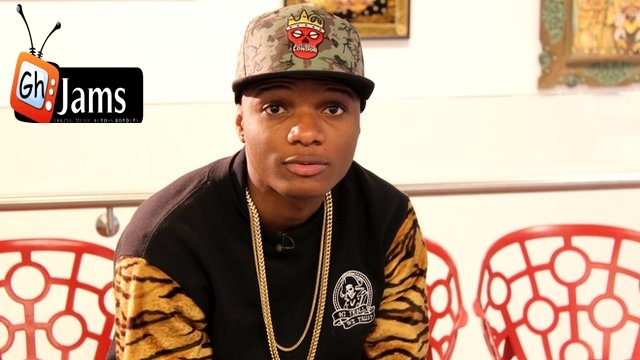 The students claim that Wizkid collected N500, 000 from them as full payment for a show that was supposed to hold at UNILAG Sports Centre on May 24th tagged Concert of Life. They claim Wizkid didn't show up for the show and didn't return their money so they went to the police. Wizkid was at Zone 2 for a few hours this afternoon with his team. He was bailed by his lawyer after he wrote a statement and was asked to report back to the station next week. I reached out to Wizkid's camp but they kept mum on the matter. But someone privy to the case said they believe an impostor collected the money and not Wizkid. Hopefully, Wizkid's camp will eventually release a statement clearing the air.